BOM- First time home buyer jitters. Nestled on a tree-lined street in the desirable SoCo neighborhood, this 1930s vintage charmer has it all. Youre blocks away from one of the hippest streets in Austin that has music, food and shopping for everyone. 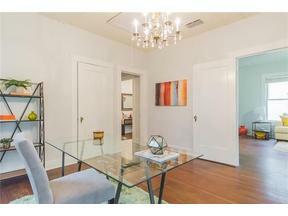 The home boasts original tongue and groove wood floors with an updated modern kitchen. All upgrades listed in documents.